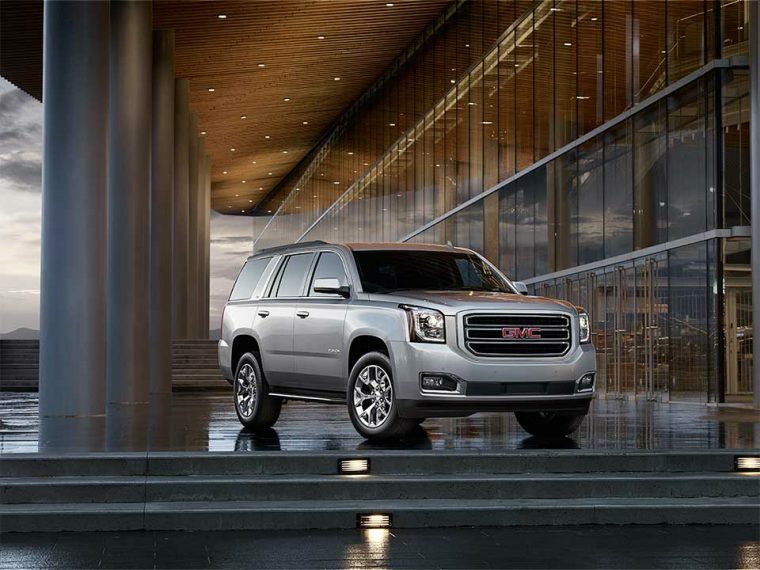 As a full-size SUV, the 2018 GMC Yukon offers space, style, and performance in one unique package. The Yukon can accommodate larger families as well as significant amounts of cargo. The 2018 GMC Yukon is available at three trim levels: SLE, SLT, and Denali. What’s New for the 2018 GMC Yukon? The GMC Yukon has several updated features for the 2018 model year, both inside and out. Underneath the hood, the 2018 Yukon comes with a new Hydra-Matic 10-speed transmission for optimum performance. For appearance, the Yukon’s grille has been redesigned for the Denali trim to create a unique, powerful exterior. Decorated with a new grille design, the 2018 GMC Yukon’s exterior stands out among the crowd. For extra cargo storage on the exterior, the base trim comes standard with a roof-mounted luggage rack. For easy access to the vehicle’s interior, and added convenience, the SLT trim offers a hands-free power programmable liftgate. When it comes to power under the hood, the 2018 GMC Yukon allows drivers to choose between two performance levels. 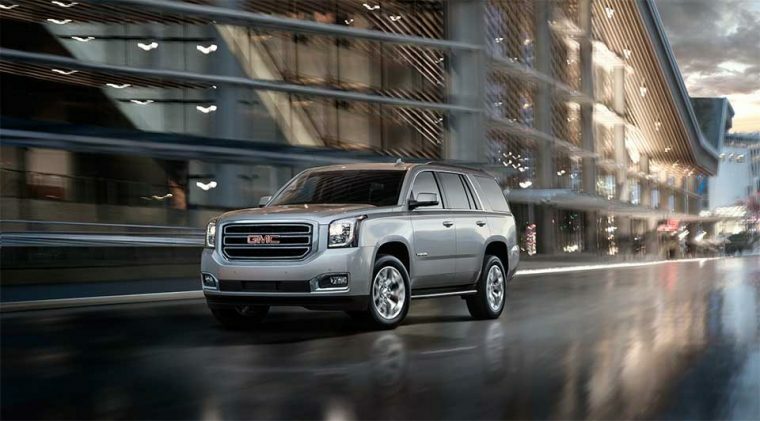 On the first two trim levels, the GMC Yukon comes standard with a 5.3-liter EcoTec3 V8 engine. This engine is paired to a six-speed automatic transmission, earning 355 horsepower and 383 lb-ft of torque. The upgraded, range-topping Denali offers a 6.2-liter EcoTec3 V8 engine paired to a Hydra-Matic 10-speed automatic transmission. Together, the Denali’s powertrain exudes an impressive 420 horsepower and 460 lb-ft of torque. Equipped with three rows of seating, the cabin of the 2018 GMC Yukon comfortably seats up to nine passengers, with extra room for cargo, too. If you need extra storage space, the Yukon comes with second- and third-row manual-folding 60/40 split-bench seats. The base trim also comes with a cargo net and an available front console organizer to help optimize your storage space inside the cabin. With a full-size SUV to fit the entire family, safety is of the utmost importance. To help protect you and your family, the 2018 GMC Yukon comes standard with a seven airbag system. To help prevent an accident, the Yukon comes with active safety features like a StabiliTrak® electronic stability control system, a four-wheel anti-lock brake system, and Daytime Running Lamps. A rear vision camera also comes standard on all trim levels, making it easier than ever for drivers to maneuver the full-size SUV.